"Ave Caesar. We who are about to die salute you". Or maybe not. Gladiators, lions, tigers, chariot racing, wrestlers, executioners, dancing girls, musicians, comedians, emperors and slaves, the Games had it all. And the referee had to keep them all in order - somehow. Being a Gladiator Referee was not an easy job what with angry bears, irate emperors and dishonest ticket salesmen. 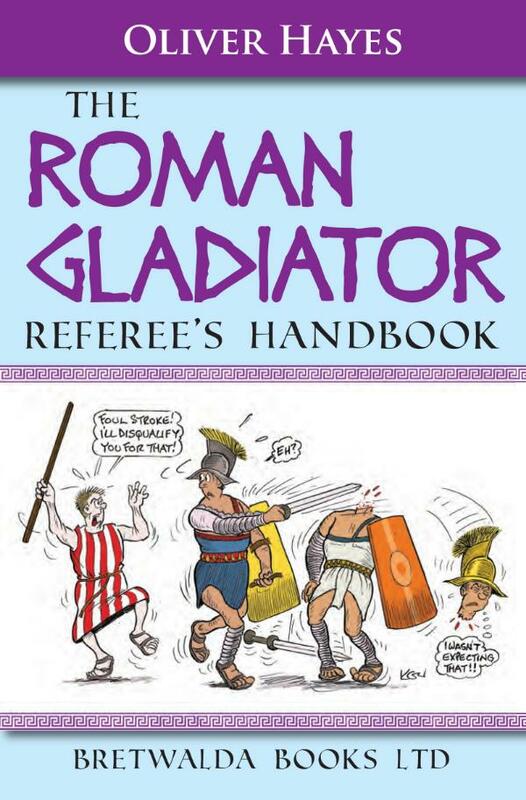 Thank Jupiter for this handbook to help out the novice referee. The reader will be left entertained and enlightened. The text and illustrations are in an amusing style and will feature plenty of jokey asides, humorous anecdotes and amazing facts, the book is also historically accurate and checked over by an experienced consultant. Illustrations are by Ken Wilkins, recently retired from the Beano. Oliver Hayes is an active historian who has not only written a number of books on military history but also handles and practices with replica weapons and armour - including those of ancient Rome. He also has two children, both fascinated by history. He is therefore uniquely placed to produce a book of this type.